I was ogling at the gorgeous pictures of Deepika and Ranveer from their Mumbai reception last night when Bigg Boss started with a Ranveer song. So, I sat with a packet of my favourite Blue Lay's and began munching as the contestants started yelling at each other during the BB Panchayat task. Numerous accusations were made against Sreesanth, Deepak and Megha. The common one being misconduct and uncalled aggression in the house. During the task, Rohit accused Sreesanth of something that made Sreesanth lose his calm and almost beat Rohit up. In case you missed out what Rohit said, we have the highlights for you. The BB Panchayat task was a continuation of the one from the day before yesterday. Deepak accused Megha of spitting on him and throwing a shoe at him. She defended herself by saying that she threw her shoe on the floor and spat on Deepak's thoughts about women. However, she failed to convince sarpanches Somi and Jasleen. They awarded a point to Deepak's team because Megha had also commented on his looks and his background. Hence, Deepak's team won that round. Next, Dipika accused Deepak of passing comments on all the contestants and insulting them. She said that he didn't deserve to stay in the Bigg Boss house because of his behaviour to instigate people against each other. She strengthened her argument by talking about how Deepak keeps provoking everyone and then questions them for reacting aggressively. She also spoke about how Salman said that Deepak was safe because he was in the house and had he been outside, he'd get beaten up for his irritating behaviour. 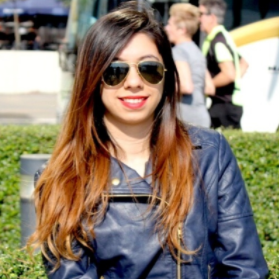 Jasleen jumped in and spoke about how Deepak had called her a golddigger. Deepak's team lost this round and Dipika's team got a point. Deepak's team put allegations on Sreesanth saying that he abused everyone in the house, showed the middle finger to Surbhi and misbehaved with Vikas. Rohit added that Sreesanth had also abused his sister Dipika behind her back. Sreesanth then told Rohit to stop lying otherwise he would hit him. Dipika tried her level best to defend Sreesanth, but Deepak's team had too many points against him. Somi and Jasleen asked Sreesanth to defend himself. He told them to give a point to Deepak's team and not waste his time. He seemed disinterested. 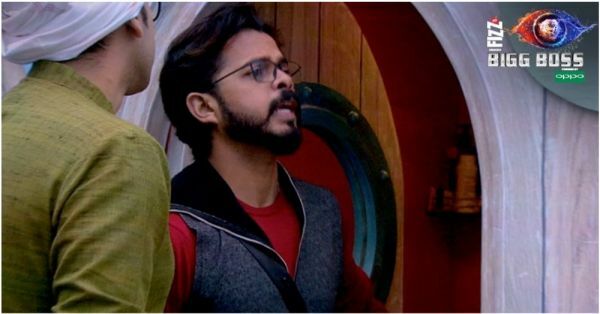 Sreesanth and Rohit had a spat because Rohit had accused him of abusing Dipika. Sreesanth then abused Rohit and tried to hit him. He also barged into the washroom while Rohit was inside and said that he'd beat him up. Rohit ran outside and asked Sreesanth to stop being aggressive with him. Sreesanth asked him to come to the washroom if he had the guts to fight. Rohit said that if he entered the washroom with Sreesanth already in there, people were going to mistake it for something else.